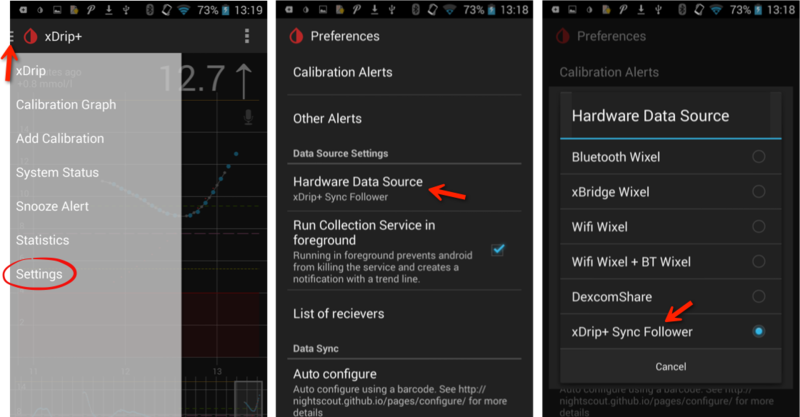 xDrip plus can follow / view a Nightscout instance, using it as a data source. This makes it possible to take advantage of nightscout features, like perhaps syncing with the dexcom G5 via share servers. Below describes the settings needed to connect with the NSClient android app. 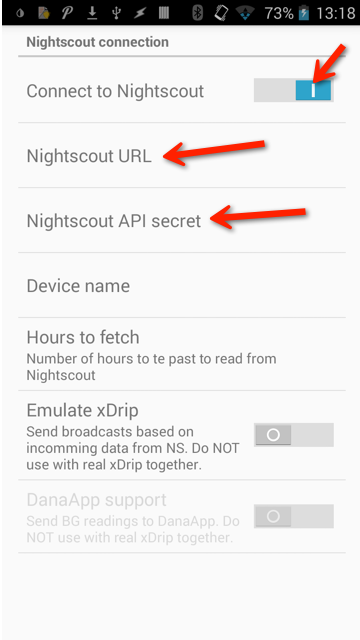 This is intended if you already have a nightscout installation receiving data from some source or other. You need to make sure your Nightscout is using the latest version from the "dev" branch which includes the new features required. Hopefully the required changes from the dev branch will be merged with the standard branch in the near future. For switching to the "dev" branch of nightscout, please review the nightscout documentation. As soon as data comes in from Nightscout it should start appearing. You can enter treatments on xDrip+ and these will go to Nightscout and also it will receive any treatments entered from Nightscout. If you need the above image larger, click here.